My family and I discovered the benefits of fish oil supplements a few years ago. We use the Carlson brand of liquid fish oil. It's high-quality pharmaceutical grade, and it doesn't have a strong fishy taste. Adding fish oil to your diet can improve your brain health and memory, strengthen your immunity to sickness and disease, and even help prevent cancer. If you and your kids are not taking a dose of fish oil each day, consider doing so. We started to look into the benefits of fish oil supplements on a tip from a friend. We usually take it once a day with a meal. The benefits of fish oil supplements, whether in pill or liquid form, result from the fact that fish oil contains omega-3 fatty acids. We avoid fish oil vitamin "pills", because they are usually big and hard to swallow. Omega-3's are only found in your diet. Your body cannot make them. Most of today's foods do not contain them. A significant portion of your brain is made from them. The many benefits of fish oil supplements that contain omega-3's include improved memory & brain health, reduced inflammation, heart health, and cancer prevention (see below). Experts say most people only get about 20% of the omega-3 they need. In the old days before chemical processing removed omega-3 fatty acids from foods, it was less of a problem. So in some ways the diet your grandparents ate growing up was a lot healthier than today's diets. Improve Memory. Omega fatty acids in fish oil can help memory cells in the brain communicate more efficiently. Researchers at the University of Alberta investigating how a diet high in DHA improves memory found that DHA (a type of omega fatty acid) obtained from eating fish or from taking supplements becomes concentrated in the hippocampus. The more DHA that a brain absorbs, the better the memory neurons interact with one another. Brain Health. According to Dr. David Horrobin, a pioneer fatty acid researcher, omega-3's make up eight percent of the human brain. Omega-3 supplements have been shown to prevent memory impairment and speed recovery from depression. A study in the Journal of Development and Behavioral Pediatrics concluded that omega-3 supplements improved children's learning and behavior. Omega-3 has also been shown to provide a protective effect against Alzheimer's dementia and Parkinson's disease. Reduces Inflammation. Fish oil can reduce painful, chronic inflammation. In research studies, neck pain and rheumatoid arthritis sufferers said they received as much relief from symptoms as when taking aspirin or ibuprofen. Heart Health. Fish oil is good for your heart. Research suggests taking fish oil can reduce the risk of having a heart attack or stroke. It also has been shown to cut levels of bad cholesterol by half in some studies. Immune System Health. Fish oil can improve your resistance to infection and disease. A study in the Journal of Nutrition showed that infants who drank cow's milk or infant formula that had fish oil added to it had improved immune function. Cancer Prevention. Taking fish oil can fight cancer. Several research studies suggest the omega-3's found in fish oil slow the growth of tumors and increase survivability, especially with prostate, colon, and breast cancer. There may be other benefits of omega-3 fish oil supplements too. For example, there is anectdotal evidence, and one or two research studies, that indicates fish oil can help with attention problems such as ADD / ADHD. 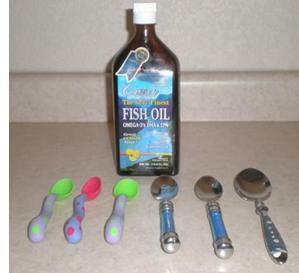 Our friend tried fish oil with her son and saw a noticeable improvement in his behavior. He began listening to her, his speech improved, and he started doing better in school. This seemed like more than a coincidence to me. The reason the modern diet is deficient in omega-3s is due to the way today's food is processed. Modern food needs to have a lot of preservatives so it can stay on the shelf a long time. If you can believe it, this processing removes the natural omega-3 fats from the food! In its place, we get to eat "partially hydrogenated fats". These fats are useless from a health standpoint. So eating modern, prepackaged foods can basically cause an omega-3 deficiency. That's why taking fish oil can improve your brain health, cardiovascular health, and so on. It works because it contains essential nutrients (the omega 3's) that are hard to get from the so-called modern diet. What really got my attention was a 2006 study in Britain that examined the benefits of fish oil supplements given to a large group of school children. Children with memory, attention, concentration, and behavior problems experienced major improvement. According to the study, "...the most striking improvement was in concentration or attention, which improved by a third." You can buy quality fish oil vitamins many places, but these days I buy it from Amazon.com (steeply discounted price plus free delivery to your home - you can't beat that!). But in the past, convinced of the many benefits of fish oil supplements, for months I cut up dozens of fish capsules a week to get the oil out. I would carefully slit each capsule with a sharp knife, then squeeze the oil onto a spoon. I had to cut up five capsules just to get one teaspoon of fish oil. This was messy and time-consuming. I checked every store in my town but could not find fish oil in a bottle. I did find bottled flax oil at the grocery store. Unfortunately, flax oil does not have the same omega-3's as fish oil. Luckily, after much searching, I found Carlson's liquid fish oil online. Pouring liquid from a bottle is much easier than cutting up capsules! The taste isn't offensive, either; Carlson's has a mild oily/lemon flavor. The science makes sense, and the idea that the modern diet causes omega-3 deficiencies makes sense too. We aren't quitting fish oil anytime soon. High-dose pharmaceutical grade fish oil is as close to a medical miracle as we will see in the 21st century."